Current data-intensive Web applications, such as on-line trading, e-commerce, corporate portals and so on, are becoming more and more complex, both in terms of density of information and in terms of navigational paths. At this aim different techniques have been proposed in literature for optimizing the information to be shown to the user. In this paper we present a technique for tuning the amount of data presented to the user, directly inspired to the concept of Levels of Details (LoD), commonly used in computer graphics. Like in computer graphics the idea is to simplify the original model, without loosing the main characteristics of the objects to be shown. 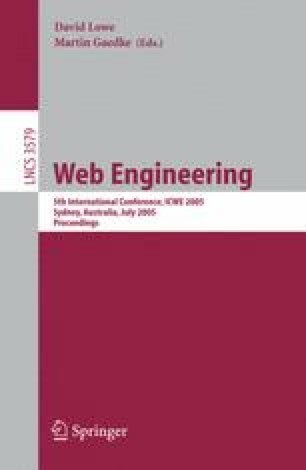 The approach is based on the application of LoD operators to the compositional and navigational structure of a Web application, expressed through an hypertextual model.